Shyamal Ghosh is in the field of Air Pollution Control Technology since 1977, through large multi national organizations, out of which for 17 years he was with Flakt India Limited. System design, marketing and execution of many milestone projects in INDIA, JAPAN, RUSSIA, EGYPT, THAILAND, MALAYSIA, VIETNAM, BANGLADESH and UAE are to his credit. 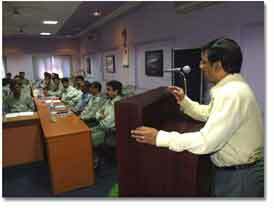 Jindal Steel & Power Ltd. organized a Workshop on Air Pollution Control at Raigarh on April 13-14, 2006. It was a grand success. Commencing with the basics & the alarming global scenario due to the serious effects of uncontrolled Air Pollution, Mr. Ghosh covered various practical aspects of design, proper operation as well as maintenance of the Air Pollution Control Systems. 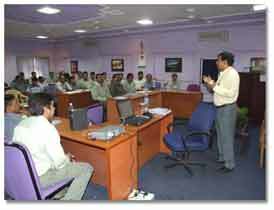 Comparative studies were also made among various equipments for similar applications. 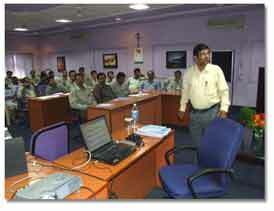 The workshop concluded with discussions on the New Generation A P C Equipment.